We are looking for 87 people who like flowers! 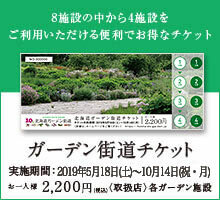 If you have Ueno Farm and Wind Garden, information on flowers in Hokkaido 's Kamikawa Tube and fun information on flowers. We are looking for flower lovers! 87 members selected from among applicants are issued a membership card that can receive discounts at various facilities in the pipe. Ueno Fun Ueno Sand Yuki is a premium member. for more details, please refer below.